Can Sewage Solve Our Energy Crisis? Sewage-to-energy would cut costs, and reduce greenhouse gas emissions. Industry calculations show that if all biosolids in the United States were converted into biomass energy, they would yield 7 million to 7.6 million megawatts of energy, while the existing capacity of wind power in the United States is approximately 43,000 megawatts. Participants submitted written plans and supporting visual assets for a unique transportation system that improves upon current infrastructure to move people more quickly, sustainably and/or cost-effectively. Automation should be the prologue to a discussion whenever a new process is introduced, not a postscript. This fundamental shift in thinking is critical to maximize any automation strategy. Solar projects can be a great investment for many businesses and offer a solid ROI, but it takes time and energy to put together a project that works for all the interested parties-the customer, the bank, and the installer. Bruce Gellerman for WBUR: The ability to store energy promises to revolutionize the way we generate, transmit and use electricity - making renewable sources such as wind and solar cheaper and more dependable. Massachusetts is one of just three states requiring electric utilities to build battery facilities in the future. 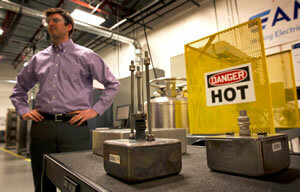 A company in Marlborough believes it literally has the next hot technology in energy storage: molten metals. 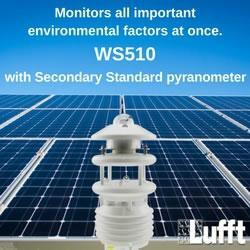 In the monitoring of large photovoltaic (Utility Scale), in assessing potential sites (Solar-assessment), or in up and coming electricity cost saving initiatives projects (Commercial & Industrial), the WS510 now provides the market a secondary standard pyranometer, ultrasonic wind speed, ultrasonic wind direction, temperature, pressure and humidity all in a single unit.. This sensor meets the high demands of the world meteorological organization (WMO) through the active valving at air temperature measurement and the inertia- and maintenance-free measurement of wind speed and wind direction on the ultrasonic principle. Equipped with a Kipp & Zonen pyranometer of the secondary standards, the WS510-UMB Compact weather sensor from Lufft unites the precision of a variety of meteorological individual sensors in a single all-in-one device, for the first time. Specialists in measuring, monitoring, and control of current, power, and energy. We offer a huge selection of in stock product, friendly and quick customer service responses, part number cross referencing, technical support, and same day shipping on in stock orders. Flex-Core; when you need it now.